Why yes, you CAN get more done without killing yourself when the temperatures are milder. We had gorgeous weather for, well, pretty much anything this weekend. So I, of course, worked on the porch. All six sides, including the tongue and groove sides, need to be stained before installation. 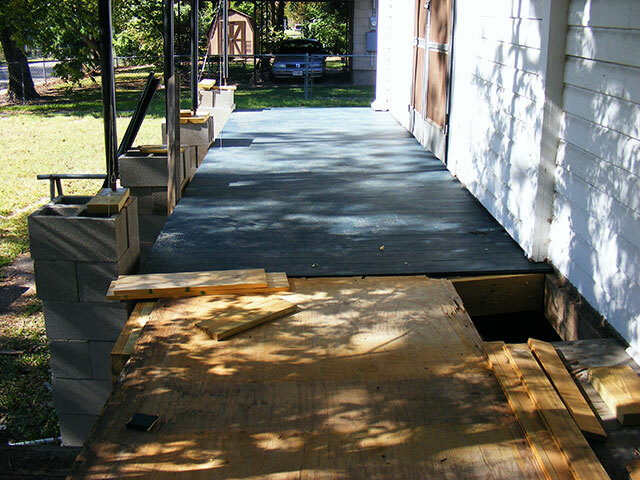 For the straight section of the porch only…that’s roughly 450 linear feet (or 75, 6 foot pieces) of 3” coverage tongue and groove…stained front, back, tongue, and groove. The stuff can be a bear to fit…tapping things into place and making sure everything is properly aligned…but with the cooler temperatures (and not needing a water and air-conditioning break every 96 seconds) we made great progress! The entire straight section is completed! 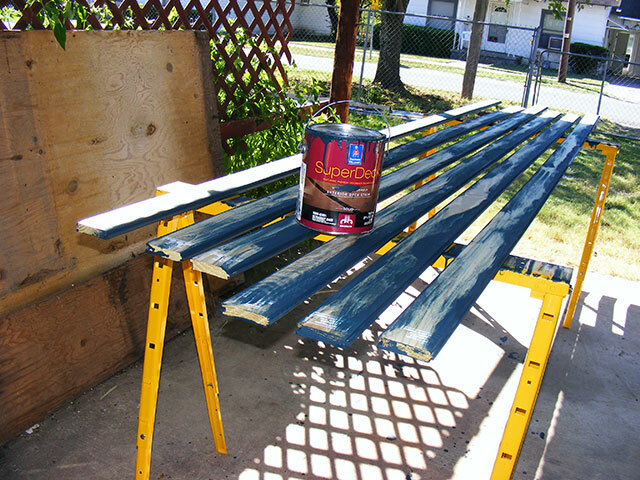 I’ve high hopes I’ll never have to mess with this (other than a top coat of stain every now and then) ever again. Next I have to trim out the box-beam and install the columns. This is the trim that goes on the bottom of the box beam on the front porch…the columns support this. 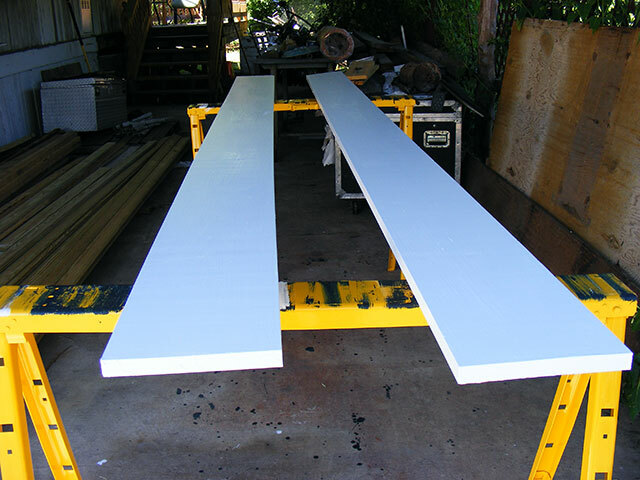 Because of the cost of this particular wood, and the location of it…it has to be primed and painted on both sides before installation in order to last past the next generation. If I just “put it up” and painted it afterward…it would probably be good for my lifetime perhaps…but I keep doing it “right”. But “right” is what really slows things down. A coat of primer and two top-coats, each with two hours between coats and it’s gotta be flipped too…means an all day paint job. And then 48 hours before it’s ‘hard’. All this means I didn’t even come close to installing these this weekend. That’s a detail. And there are a LOT of details on this house. Ah well…they’re ready for next weekend I suppose. Once these are in, and the columns are in (which ALSO need primed and painted before installation!) 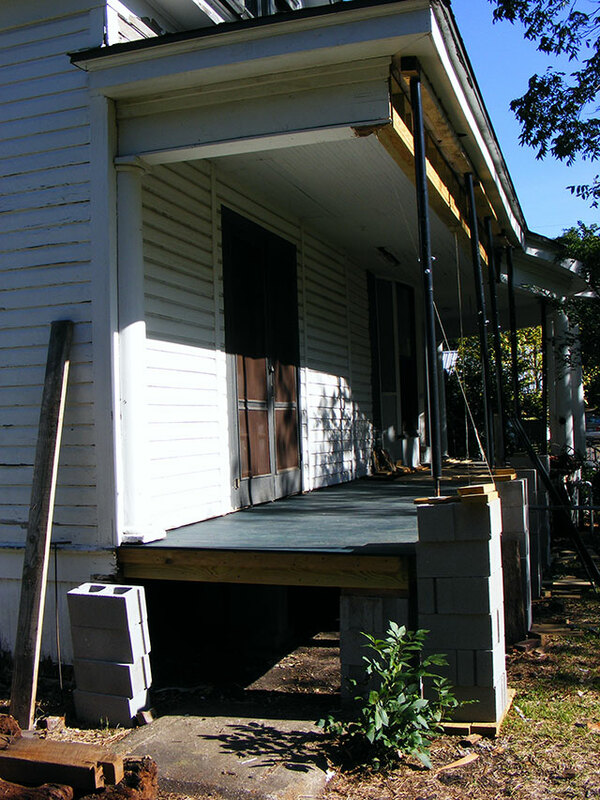 I can get my jack-posts back and tear out the NEXT section of porch…the curve. And let’s not forget the under-pinning…winter is coming.